So, you have this dream to open a restaurant. That’s great! But before you dive in, there are a few things you need to do before opening your doors for business. You need to choose a location, hire a staff, and have a business plan in place among other things. 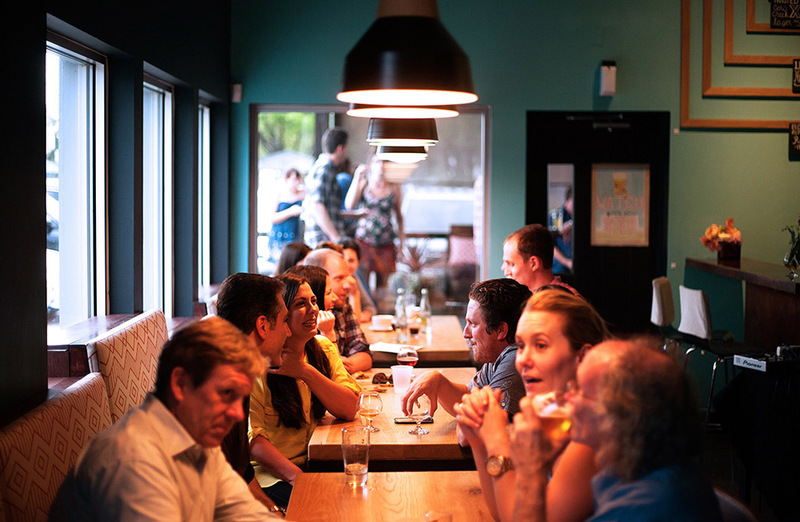 To ensure your brand new restaurant starts off on the right foot, we’re breaking down the six things you need to do before you start welcoming diners. 1. Size up the local competition. One of the first things you should do when looking to open up a restaurant is to check out the competition in your area. You need to know what you will be up against when your business opens. Check out the other restaurants that are local to where you want to be. How many of them of serving the same or similar cuisine to what you’d like to serve? How many restaurants are located near your ideal location? How are the restaurants in your area performing? Read some reviews to find out what other people are saying. What do they like and dislike about the local restaurants? These reviews can provide great tips when it comes to creating an atmosphere they’ll like. Opening any kind of business is a big expense, but restaurants can be especially costly to get started. Finding financing has proven to be especially difficult for many people wanting to start restaurants of their own. You need to know how much money it will take to get your restaurant up and running and keep it in business month after month. When opening any kind of brick and mortar business, location is everything. This is especially true for restaurants. You want to make sure you open your business in a location where you will be seen. If you open a restaurant in the middle of nowhere, there’s a good chance you won’t succeed. Consider the population in the area you’d like to open, the accessibility for customers, and make sure there’s plenty of space for parking. Location is just as important as providing good food and good service to your customers. Before you open the doors to your restaurant, you need to have a marketing plan in place. A marketing plan will help you set your budget, give you an estimate of projected marketing/advertising costs, and more. You can also outline your specific strategies in this plan so you know how you’ll spread the word about your new business. Although developing a marketing plan may not sound like the most fun thing to do, it’s essential. When you have a plan in place, you’re going to be more prepared to face any obstacles that may come up once you’re open. 5. Find and train your staff. Once you have a location and you’ve developed your business plan, you’re getting closer to opening your restaurant. But before you can start welcoming customers, you need to find and hire a great staff to support you. Create a list of every position you have in your restaurant so you know how many people you’ll need to hire. When you have your team in place, give them proper training to ensure they are all comfortable in their roles. It’s a good idea to do a few family and friends nights to test out your staff and give them practice before opening to the public. Finally, it’s time to create your perfect menu. When choosing the foods to include on your menu, you should find ways to make your restaurant stand out. Maybe you’ll put a new twist on classic dishes or feature locally-grown food. Find something that makes you different from the other restaurants in town. You’ll also want to decide what type of cuisine you’ll be preparing for your customers. Will you serve breakfast, lunch, or dinner? What will your signature dishes be? Start coming up with ideas for your perfect menu and get cooking! You want to make sure you try and love everything you put on your menu.